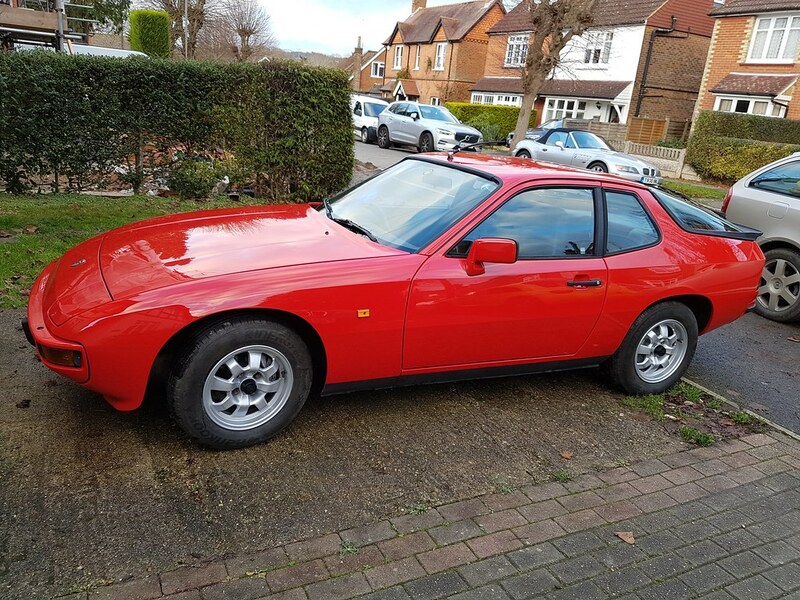 The Porsche 924 Owners Club • View topic - Long term wish sorted. Post subject: Long term wish sorted. The 924 first came out when I was in high school. 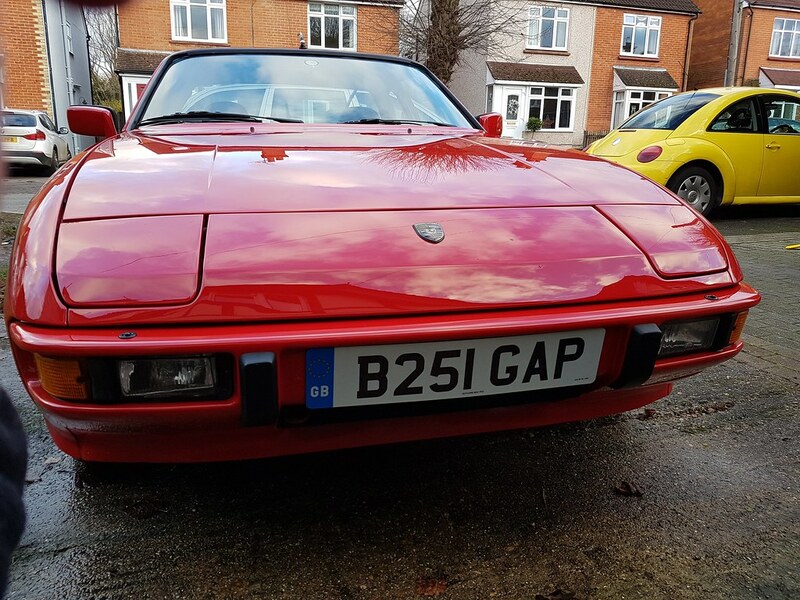 Always loved the shape and a friend had one in the early 80's which sadly was ragged to death pretty quickly. Finally decided the time was right, so bought myself a xmas pressie. Everything seems to work, gave it a full service, and it passed the acid test of a run up to Coventry to spend xmas with my son. Bit of a b*gg*r to start when cold, but that can be sorted in time. Post subject: Re: Long term wish sorted. Welcome, Car looks nice. There’s a white 944 around with an almost identical reg no, it was at Ace Cafe a few years ago. I only remembered it as I passed my driving test in 1987 in B763GAP, although that was a Ford Orion.